You are at:Home»Apple»Bored of your iMac? How about gold plating it? Bored of your iMac? How about gold plating it? Bored of your iMac? 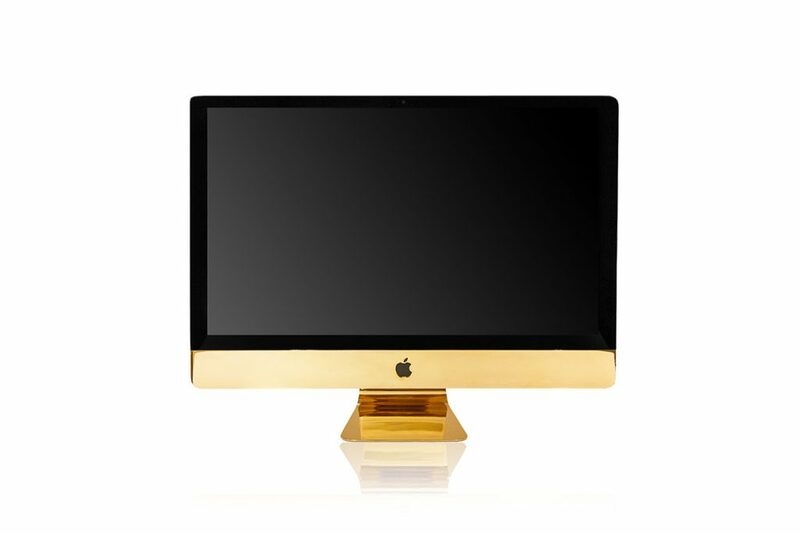 Get the million dollar look by allowing London’s premium gold craftsmen Goldgenie to embellish in genuine 24k Gold your new or old iMac. They have been involved in this kind of craftsmanship for over two decades and can customise almost anything that your mind or heart desires. This ultimate luxury service enabled those of more refined tastes to have the a top of the range iMac or MacBook to be customised in Goldgenie’s state of the art London headquarters by their team of gold-fingered artisans and award winning technicians with decades of experience of craftsmanship techniques. Off to another bestselling start, Goldgenie are currently working on an order of 50 Apple Mac units for mid February 2016 which will take centre stage in a web developers’ office that are currently being built in China. This prestigous Apple iMac and MacBook Air gold plating service uses pure gold; with such confidence in the quality, skill and craftsmanship of each product that each customised device comes with a lifetime guarantee. 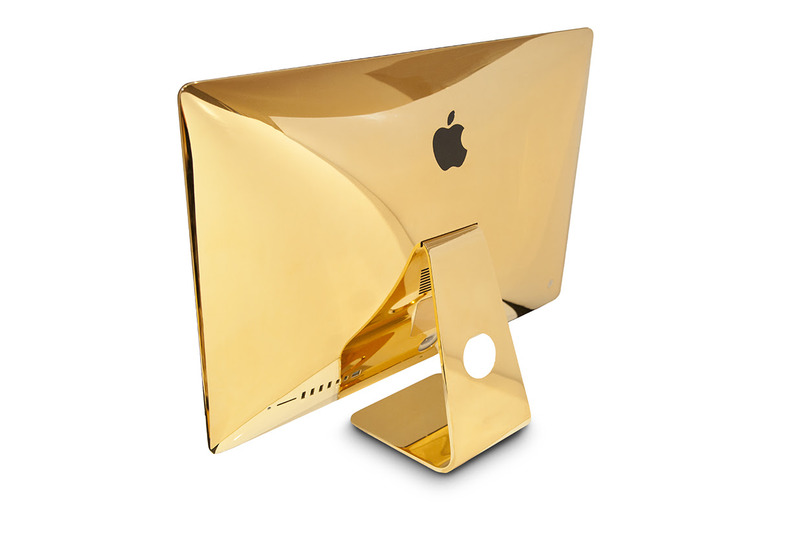 With prices starting from just £8,000 to have your iMac or MacBook embellished in real 24K gold, this is a service only for the highest of flyers with a seasoned eye for exclusive luxury items. Previous customers embody the aristocracy of the celebrity world, including but not limited to Victoria Beckham, Chris Brown, P Diddy, Trey Songz, Tyrese Gibson, Helen Mirren, Kate Moss and Simon Cowell. And if you are not familiar with the Goldgenie brand, it appeared on the hit TV series, Dragon’s Den, in 2007. Founder Laban Roomes triumphed investment from ‘dragon’ James Caan who he subsequently went on to buy out of his company and then went on to build a successful global franchise and selling out of luxury items such as the Elton John “Starburst” iPod designed by founder Laban Roomes which were made available in chic department stores such as Harrods and Selfridges as well as their online shop. In addition to being the global leader in gold customisation for iPhones and HTC phones, Goldgenie have also gold plated some quirkier items such as golf clubs and a racing bike to meet the demands of its growing customer base in London, Dubai and Asia.